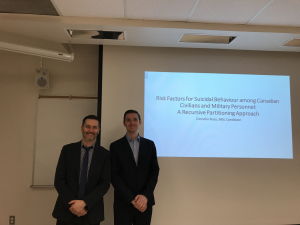 Many congratulations to Corneliu Rusu, who is the latest APEAL Lab student to successfully defend an MSc thesis. 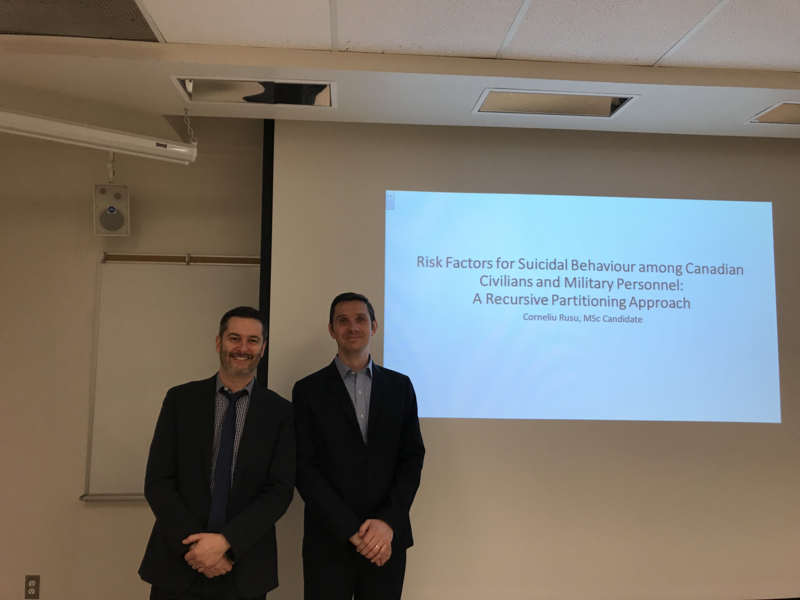 Corneliu’s thesis was titled “Risk factors for suicidal behaviour among Canadian civilians and military personnel: a recursive partitioning approach”. It was a challenge to describe some very complex analytical methods, but Corneliu handled it exceptionally well. Corneliu continues a recent trend of student success in the lab – he is the fifth student to finish their degree in the last 12 months. Way to go, Corneliu!